Breathe deep. Focus. 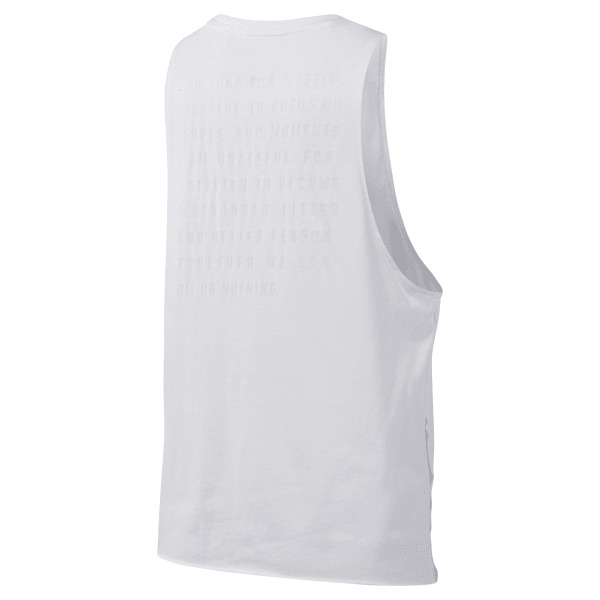 This women's tank top pulls effortless style and studio-ready performance into your next yoga session. Breathable fabrics help vent heat as your heart rate climbs, and the option to tie one side up lets down your look when you transition from gym to daily to-dos.